Place all of the ingredients in a food processor. Blend until well combined, retaining some texture. 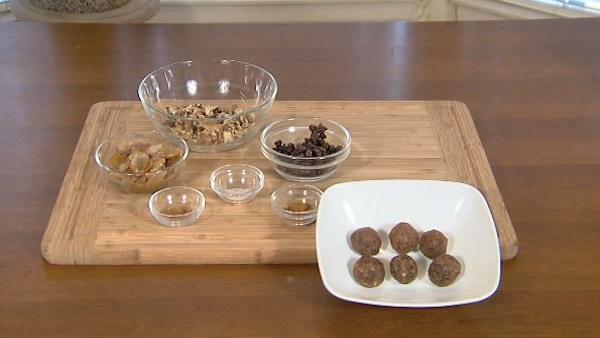 Pull out small pieces of the mixture and roll into 1-inch balls with your hands. Place in an airtight container in the refrigerator.